Married couples are provided certain rights under the law that do not extend to couples who are cohabitating, but decide to remain unmarried. The state of Nevada does not recognize common law marriage. Therefore, in order to provide for each other after death or during incapacitation, estate planning is essential for unmarried couples. For example, if one of the parties dies, the other does not have any rights to remain in the home they shared if it was owned solely by the decedent — regardless of how many years it has been or if other family members remained close to the decedent. Further, if one partner is in an accident or becomes ill and is unresponsive and hospitalized, medical personnel have no legal obligation to share information with the other partner, and he or she might not even have the right to enter the room. Fortunately, these eventualities can be avoided through an estate plan. 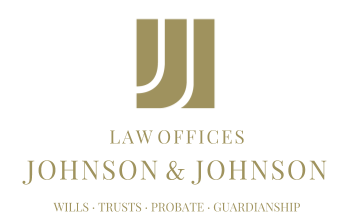 A revocable living trust can be established to hold the assets of the parties. Each of them can be named as a trustee, and one can take over alone after the death of the other. Each of them can be the beneficiary of the trust upon death as well. Powers of attorney for finances and health care can allow one of the two to make decisions on behalf of the other in case of incapacitation. It does not take a marriage license to create a lasting bond between two people such that they want to provide for each other beyond death. Further, each party can ensure that all financial and medical decisions rest with the other if needed. Estate planning does not discriminate against Nevada couples who decide that living together without marrying is best for them, and a plan can be tailored for their circumstances.